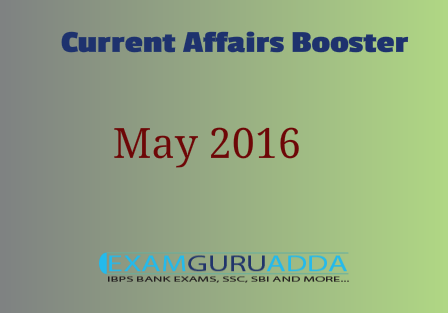 Dear Readers, we are providing GK Booster of May 2016 Current Affairs for upcoming Exams. Current Affairs collection based on news of The Hindu, The hindubusinessline, economic times etc. It will help in upcoming UIICL, SBI Clerk Mains, SBI PO Mains and other exams.